Want to Feel More Confident? Peaceful? And Connected to Yourself and Your Community? Are You Ready to Empower Your Greatness??? Are you ready for greatness? Are you a spiritual person? Are you an empath? Have you been moving forward but still feel a little stagnant? Could it be that you need a little more confidence, peace, and clarity? Would you like more flow without the hassle? Would you like more friends without the drama? Are you ready for more FUN??? I have created a program with you in mind! So many of clients are growing and changing and evolving, but they struggle with anxiety and overwhelm. They are great at keeping busy but not feeling productive or fulfilled. They want to connect more to their spirituality but feel selfish for putting themselves first. In my Reiki sessions I am encouraging more and more of my clients to ground themselves and meditate. I realize this is an important vital missing piece. People are so committed to their success but not to their self-care and that is the biggest obstacle for them not achieving success, not connecting to themselves, not taking the time to balance their minds, to gaining clarity and find inspiration and peace. Your greatest desires are waiting for you! And you don't have to push! You simply need to set more self-care time for you! It's time to start your September fresh and focus on you, what brings you joy, connect to your peace, confidence, and inner wisdom! And make new friends too! Normally Khristee's clients work with her one-on-one: to receive healing and to learn to empower themselves with specific actions steps. But you have the power within yourself to change at any time! It just takes time, commitment, consistent practice, and the right tools. This challenge is based on Gabrielle Bernstein's book, Add More Ing: A Hip Guide to Happiness. In her book, Gabby shares stories and her formula for happiness: thirty days of journaling, meditating, moving the body, and having fun! Meditating is great for clearing our mind chatter, creating peace, and connecting ourselves with our intuition and wisdom. Journaling is great to gain clarity of our thoughts: what we wish to release and what we wish to create. Moving our body clears our mind to new possibilities and releases stress. Having fun expands our energy so that we start attracting more flow and more like-minded friends. In Kundalini yoga it is the belief that it takes 40 days to break a habit and create a new one. So instead of 30 days of journaling, meditating, moving/having fun we are going to do 40 days so that this will become a part a new part of your life. Because you are ready for greatness, right? Are you up to the 40 day challenge to empower yourself to create a new you??? What are the Benefits of the Challenge? You will receive clarity, confidence, peace of mind, relaxation, flow, and connection to the divine for guidance and inspiration. You will expand your creativity and intuitive skills. You will trust yourself and your decisions more and will no longer need to hustle and put so much pressure on yourself to reach changes. You will see GREAT changes in your life! You will flow! Simply join the challenge! Watch the FB Lives! Learn meditations, mantras, creative visualization, journaling exercises, and create a daily self-care practice. Weekly Facebook Lives: learn to meditate, be prompted with journal prompts, ask your questions to Khristee or share your experiences live. Support from Khristee - Normally Khristee only provides support to her one-on-one clients but with this challenge, you can ask her questions in the private Facebook group. Accountability - Khristee and the group will keep you accountable for committing to 40 days of journaling, meditating, moving and FUN!!! Live in Connecticut? You can attend a live in-person fun event with Khristee. Hiking at the beach, the farm and MORE! Make new friends in Connecticut! Live in Los Angeles? You can attend a live in-person fun event with Missy Arrellano, Spiritual Life and Fitness Coach. Missy is a delight! You will have so much fun! Join my Los Angeles Meetup group to be notified of these events with Missy! Join my Los Angeles Meetup! CLICK HERE. When is the last day of the challenge? When are the free in-person events in Connecticut and Los Angeles, California? In September and October. Pick your event! Choose your day! Khristee will do a poll to confirm the best dates. Check her Meetup group in Los Angeles for events with Missy! Do you want to sign up but you are low on time? No problem! This challenge is still for you. While it's always great to catch the Facebook Lives live and participate you can watch the replays anytime! The Facebook group will stay up after the six weeks are complete so that you can still catch the replays, engage with others from the challenge, and complete your 40 Day Challenge. Plus the exercises are so easy and the benefits are so great that you will want to continue meditating, journaling, moving, and having FUN even after the challenge is over! All you need is yourself! Well, and your computer, your tablet or iPhone (your choice!) to watch the videos and a journal/notebook and a pen to journal. So easy-peasy! Gabby Bernstein's book, Add More Ing: A Hip Guide to Happiness (Order on Amazon!) is optional. It is supplemental material if you wish for reading materials to understand where the philosophy came from and to read some fun stories. If you are looking for additional resources on meditation, Khristee will happily recommend more books. But reading is not required for you to tap into your greatness! This is not a book club; it is an empowerment/self-care challenge. Meditation cushions are great to help you to reach your zen but are not required. You can meditate in a chair, on the floor, on your sofa or even on a regular cushion. Your pick! No need to buy anything extra. It's completely up to you! Start your September fresh!! Join Khristee's List to receive her weekly emails to keep you accountable! Khristee Rich is a certified Reiki Practitioner and Shaman. She studied with a Reiki Master and a Russian shaman and has created her own special Reiki/shamanism blend. She has been doing this for fifteen years. After overcoming her own chronic fifteen year illness, she has made it her mission to help other women to overcome their chronic illnesses and pain conditions naturally by using such tools as meditation, Reiki/shamanism healing, and learning to incorporate a healthy lifestyle using supplements, vitamins, herbs and other alternative therapies. Khristee helps those with chronic illness, chronic pain, those who have tried everything to no avail until they met her, to finally get some relief and feel happy again. All of Khristee's clients are empaths/highly sensitive women who are looking for deep healing and transformation of the mind, body, and spirit. Khristee's sessions are deep and can address any intention her client wishes to address that makes them feel stuck and unable to access their talents and their joy. Some examples are chronic pain/chronic illness, improving or releasing relationships, overcoming abuse, healing from accidents or trauma, releasing heavy emotions and finding joy again, building confidence, launching one's career, developing a spiritual connection, and MORE. Khristee studied with Gabrielle Bernstein in New York City for her weekend long, Spirit Junkie Level 1 Masterclass, and spent two weeks in Brazil meditating with John of God, the world renown medium. These teachers helped her to become a better spiritual teacher. 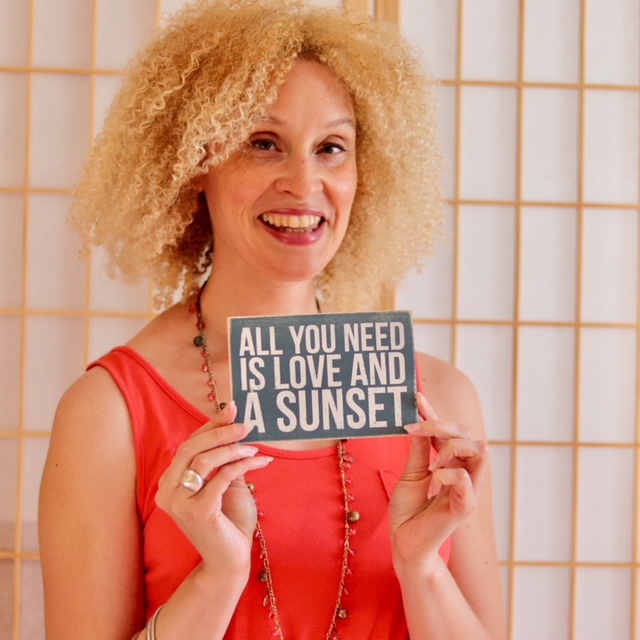 Khristee is available for private one-on-one healings, private one-on-one empath sessions, group healings, her three-month healing package, special events, inspirational talks, and VIP days. Time for a FRESH start! Let's meditate, journal, and get moving!! I am SO excited for this challenge!! I will be doing it along with you! I know you are going to love it! It's time to Empower Your Greatness! Invite like-minded friends!! See you soon!! Any questions? Email Khristee@thedancingcurtain This special challenge is available to you wherever you live! Spread the word! There is nothing more important than your own self-care!